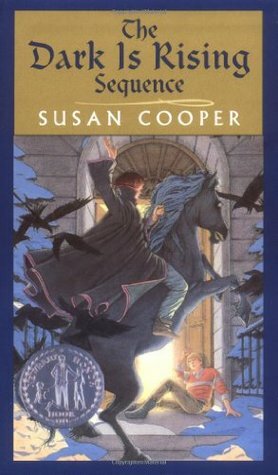 On a bit of a whim, I decided to join in with “The Dark Is Reading”: a mass reading of Susan Cooper’s fantasy classic The Dark Is Rising, originally published in 1973. I read The Dark Is Rising often as a child, along with the other books in the series, especially Over Sea, Under Stone and Greenwitch. I don’t have my original copies any longer, but (probably at my urging) my parents gave new copies to Owen for his 10th birthday in 2007. Sadly, I don’t think he ever read them; I found them on Maddie’s bookshelf, but I don’t think she has read them either. I never did quite learn the lesson that my children won’t necessarily share my taste! I’m certainly glad we still had them, though, if only for my own sake. In the first shining moment he saw the whole strange-familiar world, glistening white; the roofs of the outbuildings mounded into square towers of snow, and beyond them all the fields and hedges buried, merged into one great flat expanse, unbroken white to the horizon’s brim. . . . In that flash, everything had changed. The snow was there as it had been a moment before, but not piled now on roofs or stretching flat over lawns and fields. There were no roofs, there were no fields. There were only trees. Will was looking over a great white forest: a forest of massive trees, sturdy as towers and ancient as rock. . . . the only break in that white world of branches was away over to the south, where the Thames ran; he could see the bend in the river marked like a single stilled wave in this white ocean of forest, and the shape of it looked as though the river were wider than it should have been. The book as a whole turns on such revelations of different worlds somehow coexisting, layered by time but not fixed in it, at least not to those who, like Will, belong to all times. 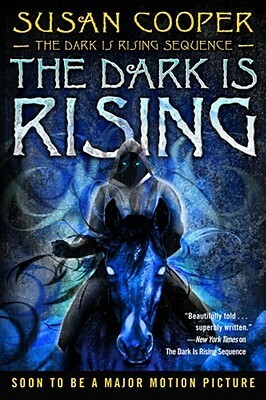 The Dark Is Rising is the story of Will’s discovery that he himself, like the landscape, is not as he has always seemed, and of the quest his uncovered identity as one of the “Old Ones” imposes on him as part of the ongoing struggle between the elemental forces of Dark and Light. There’s plenty of high drama and some epic confrontations, though I think Cooper does chills better than thrills: she excels at building up a sense of menace through small details, particularly as Will’s new awareness begins to separate him from his merrily innocent family. Much as I liked revisiting Cooper’s evocative descriptions and enjoyed the familiarity of the story and characters, I found the plot itself somewhat unconvincing–the wrong standard, perhaps, for a fantasy novel, but at the same time, isn’t it a sign of successful fantasy that you give yourself over to it without puzzling over its coherence or internal logic? I don’t know if the mild dissatisfaction I ended up feeling is because I am out of practice at reading fantasy (which, like science fiction, is a genre I have almost never read as an adult) or if it’s because, for all its elegance, The Dark Is Rising is a children’s book, and thus a bit sparse on exposition. Is its world a fully realized one? When I began it, I was relieved not to be plunged into an info-dump of “world building,” but is it possible that’s what I was missing, by the end? I do think my own recent reading habits account at least in part for my mild disenchantment. Every genre makes its own kind of demands and has its own conventions: my experience learning to read romance on its own terms taught me a broader lesson about that, and (closer to the point here, perhaps) so did my adaptation and then conversion to Buffy. In her very engaging Tolkien lecture Cooper gives a good primer on how fantasy works; her emphasis on its elements as vehicles for more universal ideas and conflicts makes a lot of sense, but it’s just not how I usually read now, or that’s not how the books I currently like best work. It’s interesting to me, though, that I didn’t have or need this kind of conceptual apparatus to enjoy The Dark Is Rising as a child, and in fact I don’t recall ever thinking much about genre as a classifier or about the possible need to read different kinds of books differently–I just read what I liked, which at the time included not just Cooper but Tolkien and Anne McCaffrey alongside historical fiction, mysteries, and everything else. I never consciously decided not to keep reading fantasy; it just fell away. 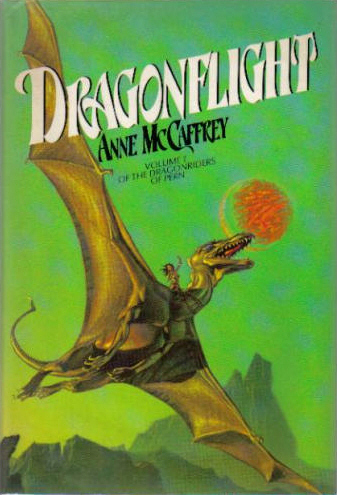 I think I began (however unfairly) to associate its overt inventiveness–its dragons and sorcerers and improbable made-up worlds–with a kind of childishness, like fairy tales, and never made the further connection that, also like fairy tales, such stories might be a means to deeper ends. Understanding better how a genre works doesn’t of course, mean admiring or enjoying every example. What I came to love about Buffy is how rich the characterizations are, and how well so much of the story-telling develops them even as (at its best) it explores ideas about good and evil. So far, I haven’t been tempted to try most of the other shows Netflix now recommends for me because I’ve watched Buffy so much: it’s not the genre in general that I have embraced, it’s the specific show. Interesting as I found Cooper’s lecture, and much as I enjoyed some aspects of The Dark Is Rising, I’m not currently inspired to go on a fantasy-reading binge either. For me, the book was most powerful in its nostalgia: it reminded me of the reader I once was, but it didn’t really inspire the reader I now am. Interesting thoughts about embracing a genre versus embracing a specific show. I’m someone who enjoys books, TV, whatever, in many different genres, but I rarely delve deeply into any genre. I’m ready and willing to enjoy works from any genre if the individual work appeals to me. I think it frustrates people who want to recommend things to me because they associate my tastes with specific categories. (I like so many British costume dramas, so how could I not like Downton Abbey? I like Buffy, how could I not like Twilight? I like Tolkein, how could I not be interested in Game of Thrones.) But what I’m usually looking for is depth of characterization or a certain degree of style and nuance in storytelling, maybe even some fun. I think the qualities I like cross genres, rather than dwelling in a specific one. As for The Dark Is Rising, I read it for the first time when I was in my 20s, and I really enjoyed it. It’s the kind of simple, atmospheric storytelling I love. But I’ve only read it the one time. I almost joined in the readalong, but I was distracted by other books and holiday travel. I wonder if I would have loved it as much a second time.